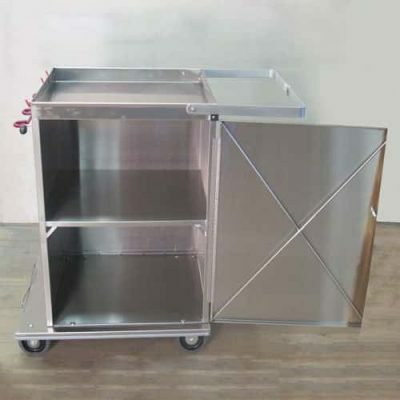 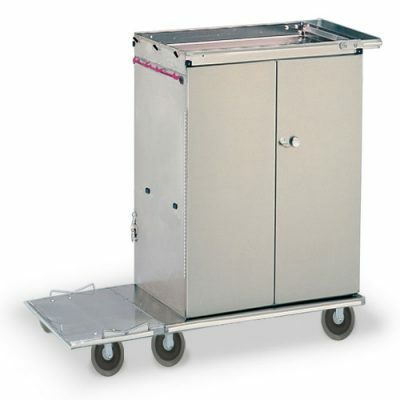 Durable stainless steel double door cabinet cart. 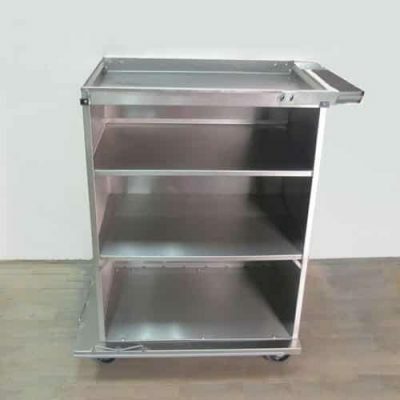 Includes two shelves, trash lid, handle and “Snaprack” tool holder. 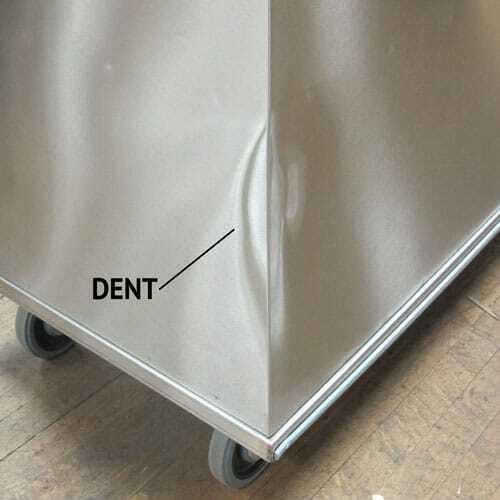 Dent in rear corner (see picture). 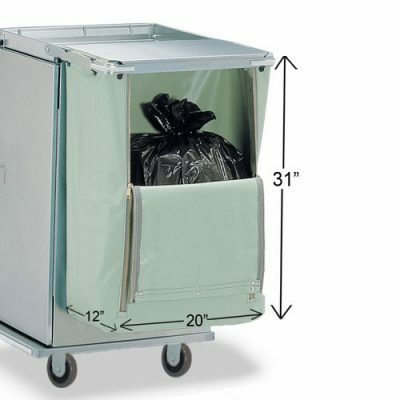 Comparable to the FLL32-SHDD double door linen cart minus the zip bag. 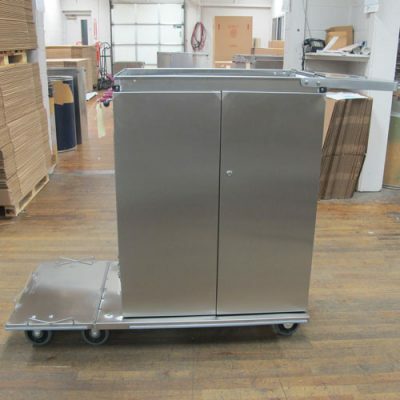 This cart also has a longer handle.